J.E.H. MacDonald once noted that Lawren Harris was compelled to sing a tune when he sat nearby the natural rhythms of water to paint en plein air. During the summer of 2017 – Canada’s 150th year – the McMichael Canadian Art Collection will become a place to wander, celebrate and delight in acoustic space. 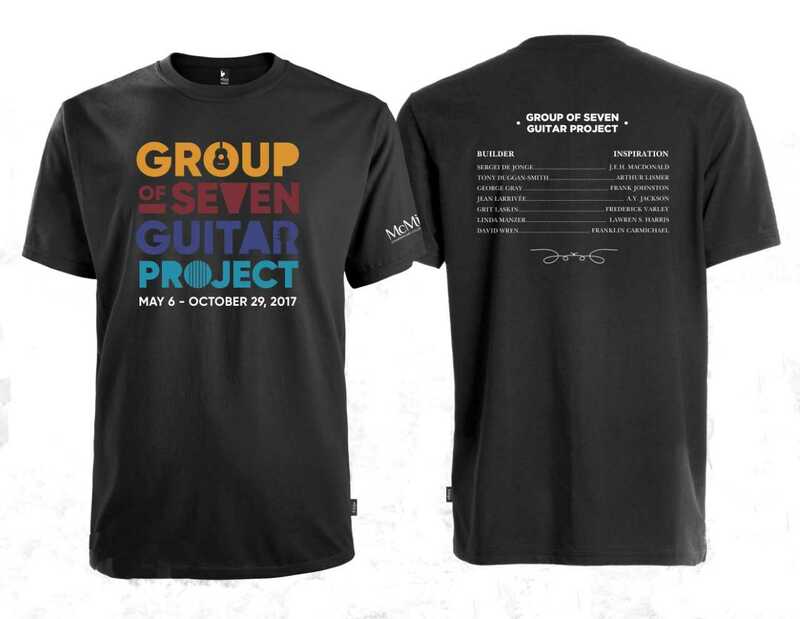 The Group of Seven Guitar Project will take over the length of one of McMichael’s most honourable spaces. 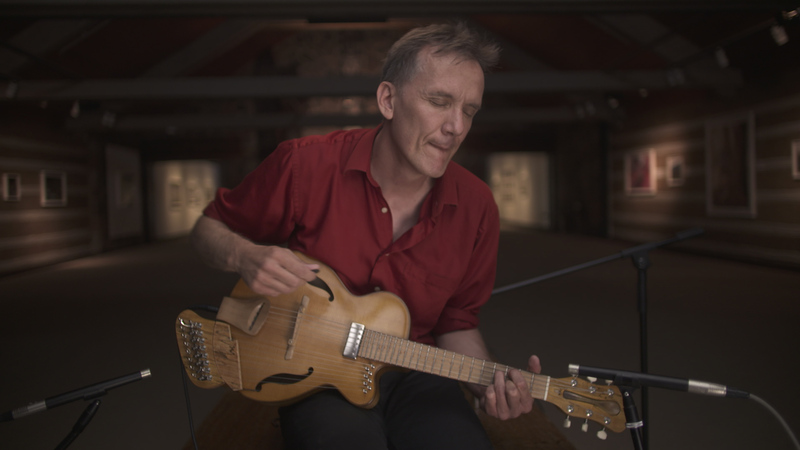 Eight masterwork guitars, commissioned from seven world-renowned Canadian guitar makers in homage to a particular Group of Seven member and Tom Thomson, will be presented in the round, allowing viewers to walk around and explore the various landscapes in wood and inlay hosted by the musical instrument. The luthiers and their respective artists are as follows: Linda Manzer (Lawren Harris), Sergi de Jonge (J.E.H. MacDonald), Tony Duggan-Smith (Arthur Lismer), David Wren (Franklin Carmichael), George Gray (Frank Johnston), Grit Laskin (F.H. Varley), and Jean Larrivée (A.Y. Jackson). 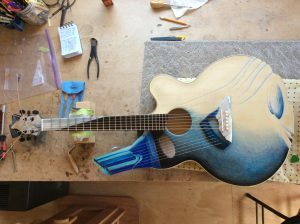 The eighth guitar, inspired by Tom Thomson, will be a group effort by all the 7 luthiers working together. The working plans and drawings from each luthier will be featured on the walls, along with didactics that will appeal to all generations. 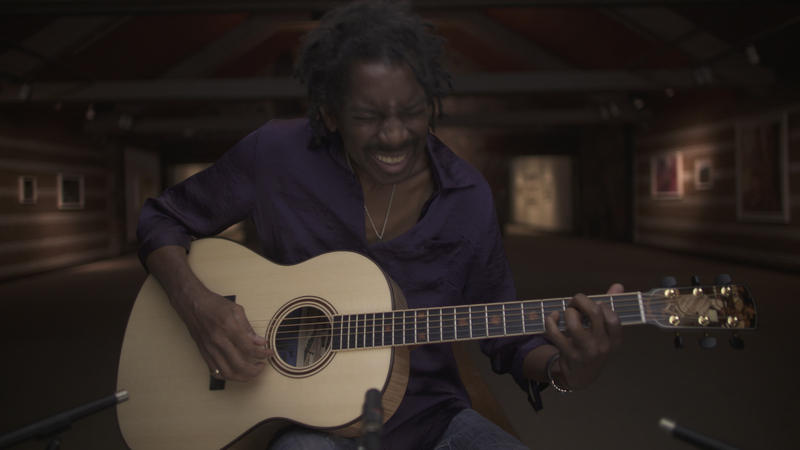 In addition, a documentary film on the making of each guitar will screen in feature length within the exhibition space. An impressive anteroom to the presentation of the guitars will feature a special exhibition of paintings by the Group of Seven and Tom Thomson. 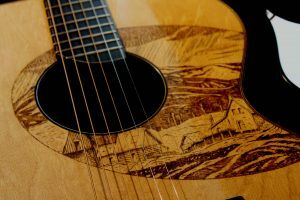 These masterworks in paint will prime viewers to make the connection between the talents of each artist and the guitars that they inspired. Performances will occur inside the gallery alongside the guitars, stimulating the senses of sight and sound, creating a great space for the imagination. 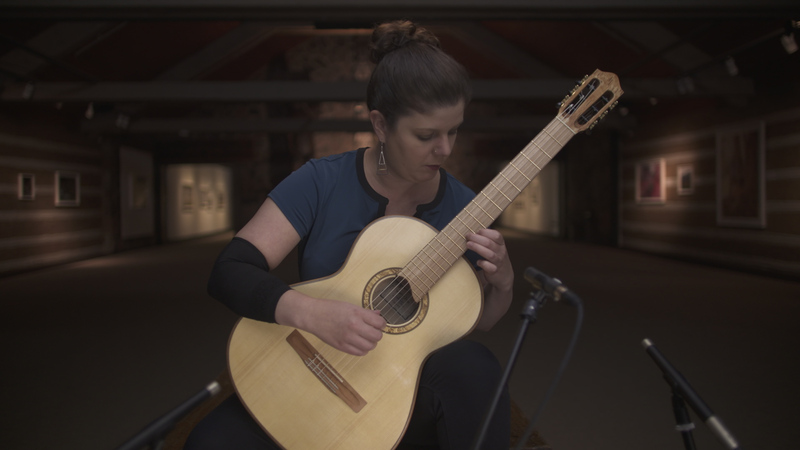 To complement and enhance the exhibition, there will be a very special Acoustic Conversation featuring each luthier and a musician, including a live performance with the guitar. Some of our performers include Chris Hadfield, Jesse Cook, and Don Ross. Please check our concert listing – click here – to purchase tickets now. 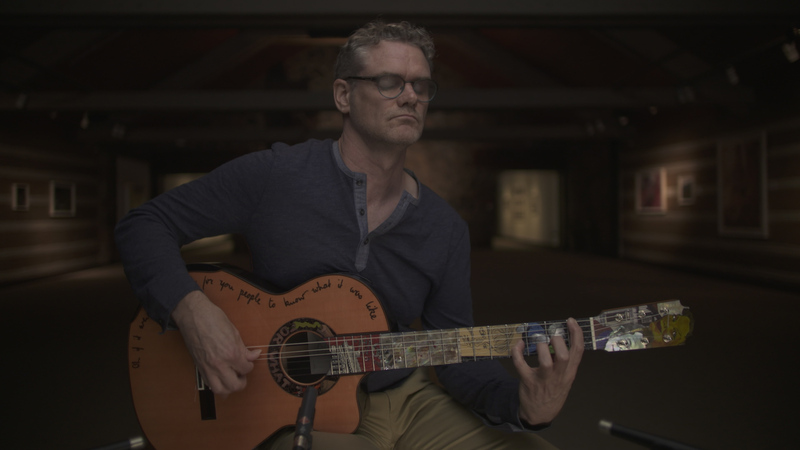 The above images are stills from The Group of Seven Guitar Project, the feature documentary by Riddle Films. Pour lire la page en français, cliquez ici.